The Third Judicial Circuit Court is served by six Circuit Court Judges, two Magistrate Judges, Clerk Magistrates, Deputy Clerk Magistrates, Court Service Officers, Court Reports and Support Staff . Assisting the Presiding Judge is a Circuit Court Administrator and a Chief Court Services Officer. 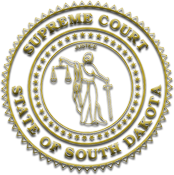 Circuit administrative offices are located in the Brookings County Courthouse 314 6th Avenue, Brookings, SD.